Since the use of microwave emitters in the 1930’s, we have observed biological effects. In some cases, harmless, in others, dangerous. At the end of the 1960’s, microwave experts from Eastern Europe produced a document showing that exposure of workers and members of the military to microwaves at non-thermal levels for many years results in, among others: fatigue, irritability, headaches, nausea, change in heart rate, hypo- and hypertension, somnolence, insomnia, troubles concentrating, skin allergies, increase in numbers of lymphocytes, perturbation of the electroencephalogram, and damage to sense organs. Exactly the afflictions a growing percentage of people are now complaining about! NASA translated this text under the title “Biological Effect of Microwaves in Occupational Hygiene” in 1970. With “Biologic Effects and Health Hazards of Microwave Radiation”, WHO took the same direction in 1973, emphasizing the cumulative nature of received doses. Science has proven that chronic exposure to electromagnetic fields (EMF) of microwaves below thermal thresholds leads to functional alterations, at times disabling, at times dangerous. In 1969, Motorola, the American inventor of the transceiver and walkie-talkie, transmitted the voice of Neil Armstrong, walking on the moon. Its next objective was a GSM mobile phone network. More than 100 million dollars were invested before the commercialization of its radiotelephones in 1983. 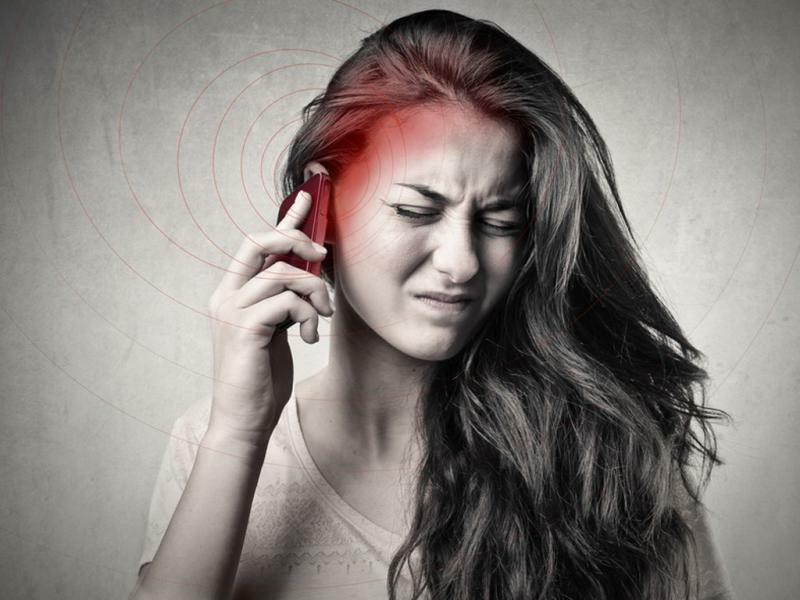 In the medium term, the mobile phone could well be a colossal financial manna provided that the countless reports signaling risks of exposure to EMF were stifled. Thus, in 1974, experts like Tanner, Bigu del Blanco and Sierra observed that several minutes of exposure to EMF at 27 MHz emitted by a radio transmitter of 5 watts (a current mobile phone with G of 2 watts) is sufficient to cause a significant loss of myelin(1). This substance surrounds the nerve fiber and conducts nerve impulses. Research has shown that pulsed microwaves – this extremely low frequency (ELF) pulse which optimizes the signal and reduces the technology costs – generate more metabolic disturbances compared to a continuous signal at the same average power density. We remember the affair at the American Embassy in Moscow disclosed by the press in 1976. The premises were irradiated by microwaves at around 6 V/m(2). Ambassador Stoessel suffered from ocular hemorrhages and a blood disorder. Three men died of cancer, five women underwent a mastectomy linked to cancer. Neither a hypothetical risk nor an abstract risk, exposure to microwave EMF is harmful at non-thermal levels. How does one develop wireless technologies in this context? First, by taking the lead in legalizing what one calls indicative limit values in toxicology. 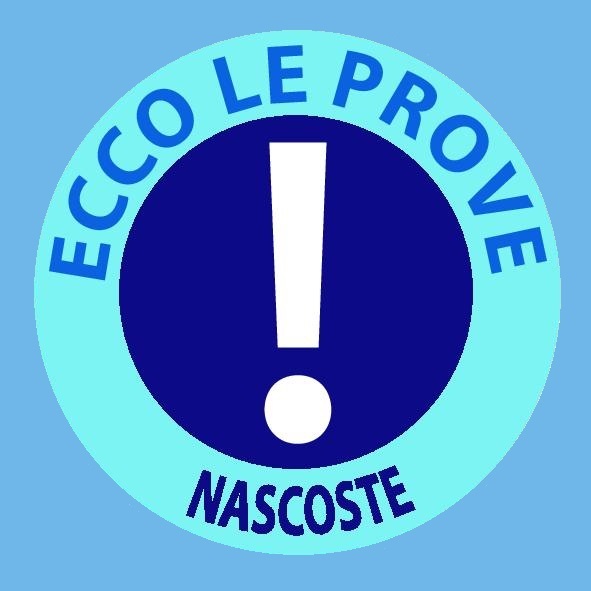 Second, by replacing the precautionary principle, susceptible to restraining litigation, with the principle of technology watch, that is, observing the health impact over several decades while awaiting the development of scientific methods showing absolute proof of harm. This is the famous “we don’t know”. Two dominant organizations support these strategies: the International Commission on Non-Ionizing Radiation Protection (ICNIRP) and the EMF department at WHO. Michael Repacholi chaired the study groups at WHO from 1978. He also belonged to a group which established ICNIRP in 1992. Repacholi presided over this commission which comprises twelve other member scientists, some of whom occupy top positions in the industry. Repacholi founded and headed the research department on the effects of EMF at WHO during the period when safety norms were established, between 1996 and 2006. Can we really believe the president of these institutions was actually defending public health? Can we really imagine this man supporting citizens against aggressive industrialists? It was the opposite, according to David Leloup of Mediattitudes(3). Repacholi was acting on behalf of the industry. In 1990, this man supported an Australian electricity company against landowners in New South Wales who were opposed to the installation of a high voltage power line (HT) on their property. In 1995, he assisted Bell South in installing a relay antenna near a nursery in Christchurch. Later, by downplaying studies showing the increase in the risk of child leukemia near power lines, Repacholi supported the Connecticut Light and Power Co. On 3 August 2000, Michael Repacholi, the man who influenced all national radiation protection associations worldwide, admitted before the Court of the Australian Senate that limiting exposure to wireless radiation is not based on science. It was negotiated between trade unions (industrial) and the government of that period. ICNIRP found an approach to safeguard the industry which seemed scientific. A model filled with a homogenous fluid gel was subjected to EMF. At 61 V/m during six minutes, the heating of the gel was inferior to the regulatory thermal capacity of the human body. ICNIRP’s communication was clever: although not specifying any safety or health value, it was perceived as such. It was the tour de force wording of communication specialists destined to anticipate the risk of legal actions relating to products and services. The numerous bias in the guide published by ICNIRP make this document irrelevant for evaluating realistic exposure limits, but who cares. It used all its influence, including its intimate connections with WHO. 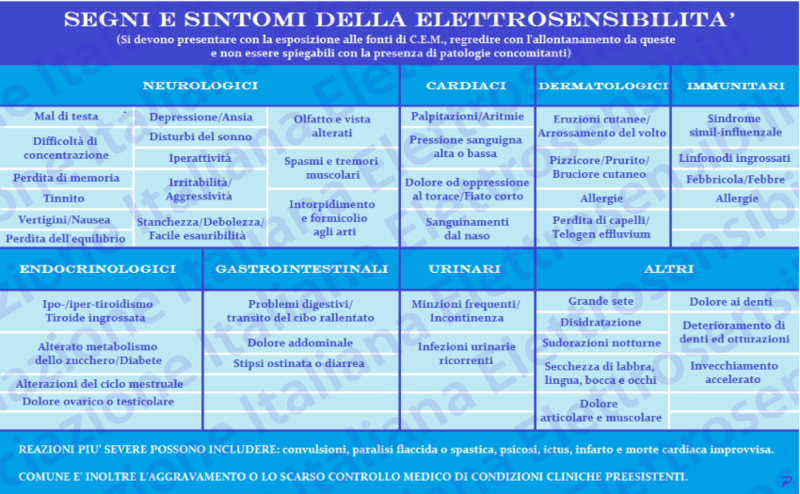 Objective: to have high thresholds of exposure accepted in a maximum number of countries. 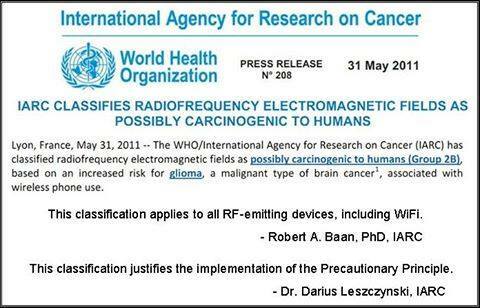 The EMF department at WHO retracted the former “unsafe” proclamations and reverted to the old theory of radiophobia. In 1958, while the government was preparing the legal basis for nuclear electricity, WHO snubbed its foes in its report 151: The appearance of “a source of energy of such shattering possibilities as atomic power will cause strong psychological reactions, and… some of these will probably have to be considered as more or less pathological.” It repeated this credo with symptoms due to non-thermal exposure to EMF: There also exist certain elements indicating that these symptoms may be due to pre-existing psychiatric disorders, as well as reactions to stress resulting from fear of eventual health effects. Science shows that the penetration of EMF is greater in children than in adults. 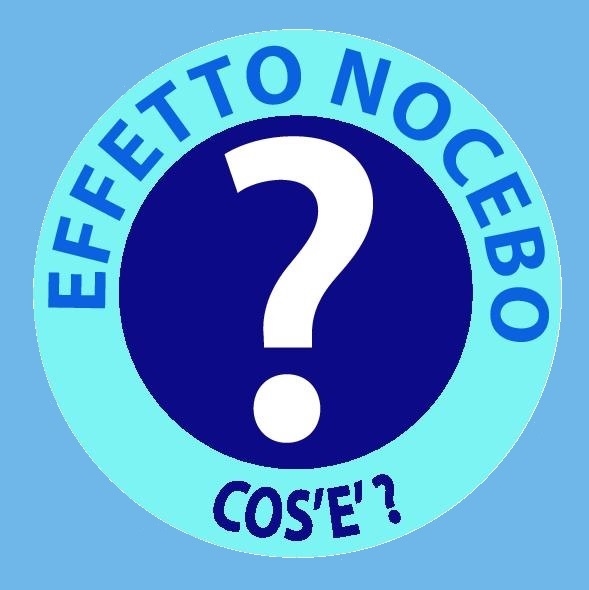 Olsen(4) concluded that children exposed in utero or during the first seven years of their life to low doses of EMF have an 80% risk of behavioral disorders at age seven. 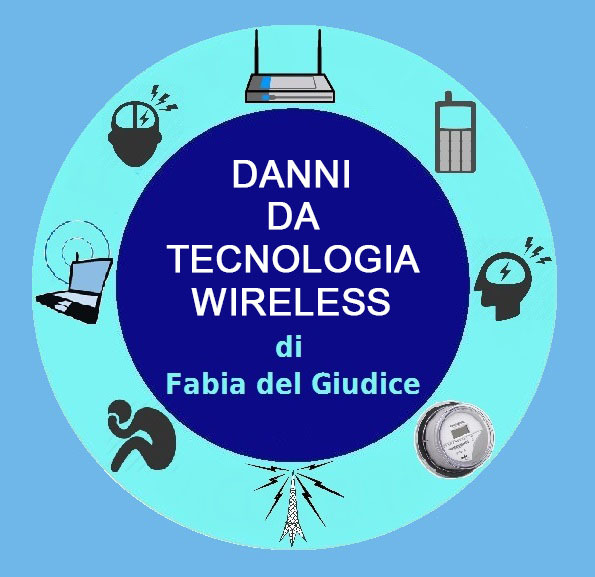 Carlo(5) indicated a link between wireless technology and child autism, which is increasing rapidly. The convenience of Wi-Fi is attractive, but it causes a significant addition of EMF, including to children and young people, fond of wireless. This pollution carries increased risk of neurological and cognitive disorders. We have seen pulsed microwave radiation impairing memory and attention. The risk of headaches and dizziness increases with irradiation. In addition, hyperactivity and chronic insomnia may occur. How to be successful in schooling and studies if the environment affects attention and memory? Can we take the risk of threatening the future of our children? Can we expose them to radiation with cumulative effects in order to avoid a few meters of wire? The Neuchâtel authorities, as in other countries, have refused the risk of Wi-Fi. Pioneers in Switzerland, they have adopted an ordinance in 2010 whose article 7 stipulates that only wired networks (metallic cables or fiber optics) are authorized in classrooms in preschools, and primary schools. Article 8 authorizes wireless equipment under certain conditions in shared spaces. At the Association Romande Alerte (ARA), we wanted to know if the Ordinance was being adhered to. We have equally focused on nurseries where exposure of very young children to EMF is all the more ill-advised. Another technician and I visited 18 preschool and primary school establishments (around 15% of the establishments in the canton), announcing ourselves to the officials on the day of evaluation. The doors to some schools and nurseries remained closed due to lack of an official request in writing. In spite of the Ordinance, Wi-Fi routers were irradiating classrooms in preschools and primary schools. Schools and nurseries taken together, we measured Wi-Fi in nearly three out of four locations. Sometimes, the Wi-Fi served to connect a computer and a printer only a few meters apart. In the nursery, four computers for very young children were connected to routers located a few dozen centimeters from their heads. In addition, sometimes wireless DECT phones and cell phones were further increasing EMF exposure. In its patent WO2004075583, Swisscom outlined various risks from electrosmog. At the international conference in Salzburg in 2002, eminent independent experts in building biology estimated that an exposure inferior to 0.06 V/m was acceptable long-term. In this regard, only one primary school, one preschool and one nursery school visited could be considered neutral in terms of EMF. The personnel we met were of good faith but often ignorant about protective measures such as those proposed by the Federal Office for Public Health. Several kinds of confusion were observed. Certain users believed that it suffices to connect a cable to a device (for example, to connect the tablet to the mains) in order to avoid radiation. Others confound Wi-Fi with access to the Internet. There are still many challenges before awareness is raised among all concerned parties. Our investigations have however been fruitful: installations were taken away, and we have established useful contacts with the canton of Neuchâtel service of compulsory education. Establishing a program of electromagnetic protection in schools is being considered. We hope that the scholastic officials of other cantons as well as business leaders will join us in this campaign. (1) Science et vie, février 1974. (2) OMS “La protection contre les rayonnements non ionisants”, 1985, p. 143. (3) http://www.mediattitudes.info, Téléphonie mobile: trafic d’influence à l’OMS?, 23 janvier 2007. (4) J. Olsen, L. Kheifets, C. Obel, H.A. “The prenatal and postnatal exposure to cell phone use and behavioral problems in children”, Epidemiology. 2008 Jul ; 19(4);523-9. (5) 5 T.J. Mariea, G.L. Carlo. “Wireless radiation in the etiology and treatment of autism (…)”, Journal of the Australasian College of Nutritional & Environmental Medicine, Vol.26, No.2, August 2007. PIERRE DUBOCHET, engineer, is a pioneer at Neuchâtel radio where he became technical director of the station. In 1995, he set up a business specialized in multimedia whose products are distributed in more than 160 countries. He undertakes radiation measurements in private homes and conducts EMF audits in businesses in order to safeguard the health of employees and thus, productivity. 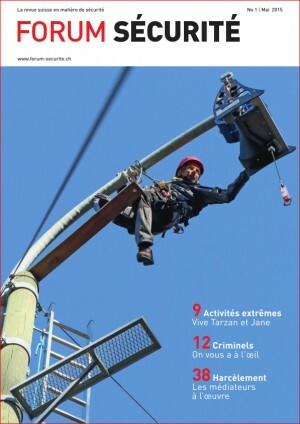 The Swiss magazine on safety – Forum Sécurité – is the only professional magazine in French-speaking Switzerland dedicated entirely to the theme of safety. It is the counterpart of the Swiss German magazine SicherheitsForum. The themes developed in Forum Sécurité are on organizational, physical, and technical safety, safety at work as well as information security. Subjects discussed include management of safety and risk, technical safety, business continuity, work safety, health protection and its promotion, information security, data protection and that linked to IT security as well as building safety in all its forms, from fire protection to building security in general.